We are starting to gather up things for our fall session, our plan is to start on Wednesday Oct 1. 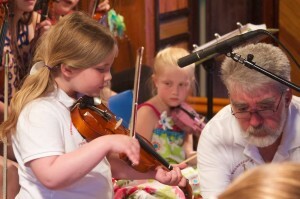 Last year we worked with the beginners during the afternoon, then did slow fiddling from 6 to 7. If that seems alright with everyone we will try the same thing again this year. Let me know if you have other suggestions. For those who attended last years sessions, come at the same time this year and we will adjust times to fit the various schedules. If you know of anyone planning to start this fall, have them come on Oct 1 so we can get the groups and times established. I would really like to build on the step dancing this year so if you are interested let me know. Some of our young folks could start teaching beginners. Even though you may not feel you can dance if you know some steps you can work with the beginners, you will learn by teaching. Greetings to all participants at Wednesday Evening Fiddlers and all musicians in general! I am entering my 14th season at Dusty’s Old-Time Jamboree at the Lions Hall in Mapleton Maine, with our opening date of Oct.5. Our shows begin at 2:00pm and go to 4:30pm Eastern Time, and continue on alternate Sundays. Anyone wishing to join us will be made welcome, just as I was made welcome at your gatherings. I joined your group back in 1996, and after a few years, I unashamedly copied Garold’s jam format, which I found to be The first gathering I had attended where everyone was treated equally without bias as to ability or reputation. I try my humble best to continue this tradition. Thanks for the invite. I’ve heard good things about your Jamboree. I’ll post your reply on our Facebook page if you don’t mind.